There is increasing talk about a ‘new’ diet in people that is showing impressive results in treating cancer in people, and it may help with our pets. 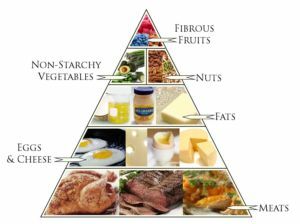 The diet specifically eliminates carbohydrates, replacing them with healthy fats and protein. As in NO kibble to be fed to your dogs or cats. Dr. Dominic D’Agostino is an assistant professor at the University of South Florida College of Medicine. These same anti-cancer properties have also been observed in human cancer patients and reported in published studies. The cancer-fighting ketogenic diet “formula” is roughly 75% fat, 23% protein, and 2% carbs. Dr D’Agostina notes that it is the underlying inflammation from these high carbohydrate diets that promotes cancer, but also other diseases such as diabetes, obesity and Alzheimer’s. P.S. Here is a video discussing the ketogenic diet. I have been searching on the internet for a cancer diet for cats, looking at your website and was wondering if this new diet ketogenic is good for cats? Is cheese good for cats? My cat has just been diagnosed with colon cancer and l’m desperately trying to find a home cooked recipe for him. Does this recipe really need to be cooked? I’ve been feeding raw and have avoided cooked. Can whole yogurt be substituted for cottage cheese or ricotta or is that too acidic? My dog has just been diagnosed with lymphoma and has been on grain free kibble and raw throughout her life with me past 6 years. Yes, I need a lymphoma diet too for my labrador. Definitely need more detail. Someone please help. my dog has just been diagnose with a cancer many tumors on prostate and lungs… my main problem is that he doesn’t eat…so ketodiet yes but how can I do??? I have a 19 year old white true albino cat that is suffering from a thyroid problem now and cancer again on his ears whats left of his ears and now in order to save him cause the cancer is trying to get in the canal and the vet says he will have to cut off the rest of the ear! OMG im terrified for my poor baby! I dont want him to suffer! So im going to try the diet that has been offered on this site! Thank you for this! Please pray for my little buddy! His thyroid is getting better and hes put some weight back on. My vet says for 19 yrs old he looks very good! So im guna try this keto diet mixture and hope we can beat this cancer ear stuff! I also take the keytones by pruvit myself! Amazing product!!! Everyones needs to give it a try! God Bless everyone!! !